A few years back, I presented “MadCap Flare for the Total Newbie” as part of MadCap software’s free webinar series. As part of that presentation, I talked about Flare’s multi-channel publishing capabilities, and I gave an example of the way that one of my clients is using multi-channel publishing. In this case, my client is using Flare to generate one HTML5 site, one epub file, and around 70 standalone Word and PDF files all from one Flare TOC. In the Word target, this option is in the Advanced tab under the MS Word Output section. Click the checkbox for Generate multiple documents for MS Word output. In the PDF target, this option is also in the Advanced tab. 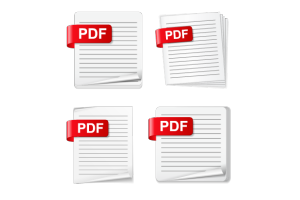 Click the checkbox for Generate multiple documents for native XPS/PDF output. The way you tell Flare to start a new file in the output is by setting chapter breaks in your TOC wherever you want the new file to start. To do this, open your Flare TOC, right-click on the topic where you want a new file to start, and click Properties. In the Printed Output tab, select Chapter Break from the Break Type drop-down list. If you want the page numbering to restart, then you can specify that in the Page Number section in this same tab.